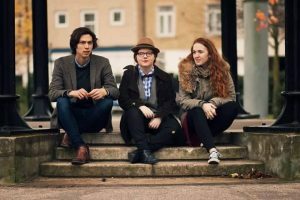 Solasta are an outstanding folk trio who are fast building a name for themselves on the back of their inventive arrangements, unique sound and exhilarating live performances. Comprised of award-winning fiddler Elisabeth Flett, cellist Hannah Thomas and guitarist Jamie Leeming, their dynamic interpretations of Celtic based material are rooted firmly in tradition, whilst incorporating elements from diverse musical worlds including classical, jazz and early music. Notable performances include Celtic Connections Festival, Cecil Sharp House, Ronnie Scott’s Jazz Club and The Green Note. Solasta have featured on BBC Radio Wales (Celtic Heartbeat), Resonance FM (interviews/live performances), and The Irish & Celtic Music Podcast in the USA.